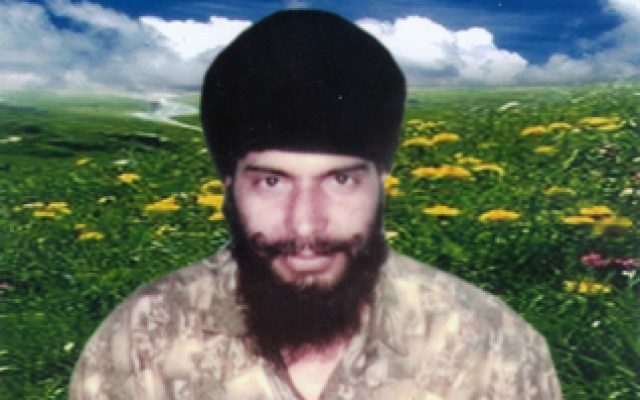 Shaheed Bhai Baljinder Singh was born in the village of Pandori Bibi, district Hoshiarpur. Bhai Baljinder Singh was the only brother of two sisters and grew up in a Sikhi environment and regularly visited Gurdwara Harkowal, where he would go to listen to Kirtan and Katha. Bhai Sahib’s father had had passed away during his childhood, leaving the mother to raise the family, which she did with great love and affection. Bhai Baljinder Singh completed his metric education at Bassi Daulat Khan and in these days the Dharam Yudh Morcha was making the headlines. In June 1984, the Indian Army launched its assault on Sri Darbar Sahib and the resulting beadbi of Sri Guru Granth Sahib, destruction of Sri Akal Takht Sahib and deaths of innocent pilgrims really angered and frustrated Bhai Baljinder Singh which led him to supporting the Sikh Resistance movement. The Police were on full alert to monitor activities of Sikh youth and detain without cause, as such Bhai Baljinder Singh was also picked up from his home and brutally tortured. This however did not deter Bhai Sahib and once he was released he continued in Panthic activities. When Bhai Baljinder Singh’s companions Bhai Jasveer Singh ‘Lali’ and Bhai Balwinder Singh ‘Binda’ were encountered by CRPF Commando Bhagat Singh. Bhai Sahib along with other Sikh youth from his village were arrested and tortured before being framed in cases and sent to jail. After being released from jail Bhai Sahib returned to his village and began farming, but the police harassment continued. Eventually Bhai Baljinder Singh left his home, land and family and joined the Sikh Freedom Fighters. Joining the ranks of the Khalistan Commando Force alongside Bhai Kirpal Singh Damunda, Bhai Swaran Singh Bisrampur and from his village Bhai Jasveer Singh ‘Bibi’, the Singh’s began punishing the anti-Sikh elements in their region. On January 11, 1993, the Punjab Police received a tip-off regarding the location of Bhai Baljinder Singh’s group. In large numbers the Police surrounded the Singh’s in village Satowali and the encounter began. Whenever the police entered the home where Bhai Sahib and his group were located they never able to leave, they were either shot dead or left trapped. Thanedar Balkar Singh was also trapped in this way and it was only when the Police ripped out the roof of the kitchen was he able to get out of the house. After a long hard fought battle Bhai Kulwinder Singh ‘Pinky’ and Bhai Jasveer Singh ‘Bibi’ attained Shaheedi and Bhai Baljinder Singh had been shot in the thigh and was injured but managed to successfully escape. In March 1993, as Bhai Baljinder Singh and his companions were travelling to Sri Anandpur Sahib for Hola Mohalla they were being followed by Police Cats. Their information was relayed back to the security forces and as Bhai Sahib was returning, the Police surrounded him at village Hareempur near Kartarpur. on March 11, 1993 Bhai Baljinder Singh followed in the steps of his companions and attained Shaheedi.